Unloading process of Fertilizer and fish feed from incinerator furnace which has been prepared to boil cut/waste leather particles. 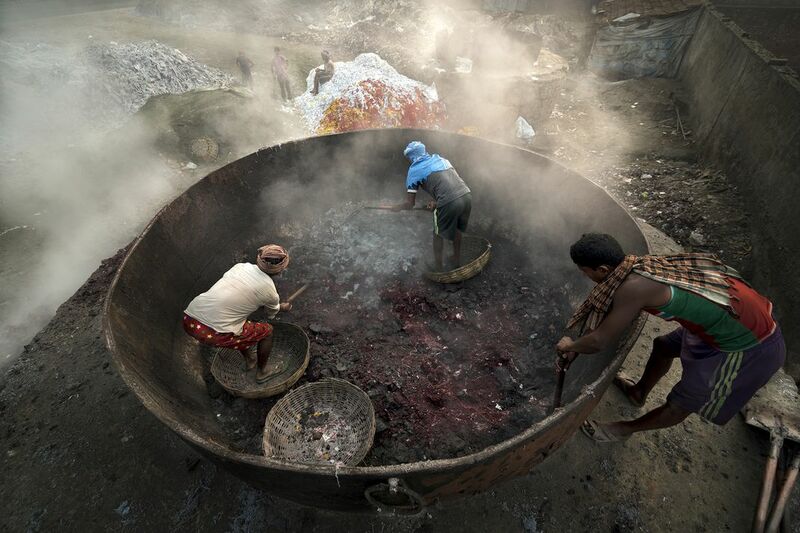 These units burn and boil shaving dust (by product of finished leather products), flesh linings and trimmings to make Fertilizer and fish feed at kashba, Kolkata. The furnaces belch out thick smoke day in and day out, contributing to kolkata's poor air quality. Date Uploaded: Nov. 29, 2017, 9:15 a.m.